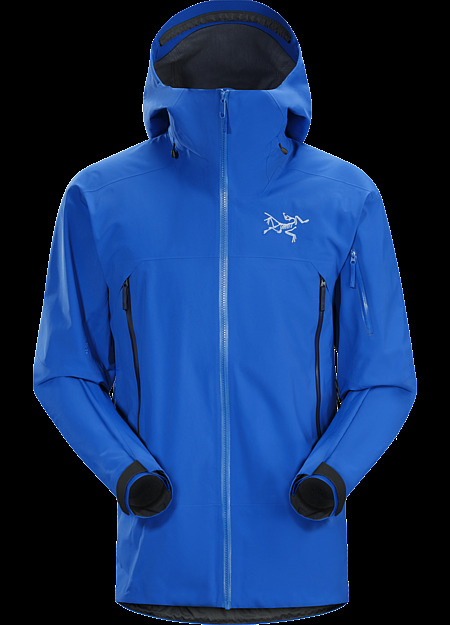 Always with a focus on streamlining function to its essence without compromising performance, Arc'teryx optimized the Sabre Jacket with features to handle the vertical aspects of big mountain skiing. The helmet compatible StormHood cinches securely, providing full coverage with exceptional visibility. Rapid ventilation on traverses and ascents come from WaterTight pit zips, and the integrated powder skirt is created to deliver a secure fit in deep powder. Pockets are designed and placed to provide security and accessibility, even with a pack on. The streamlined WaterTight Vislon zipper in the front seals tight. 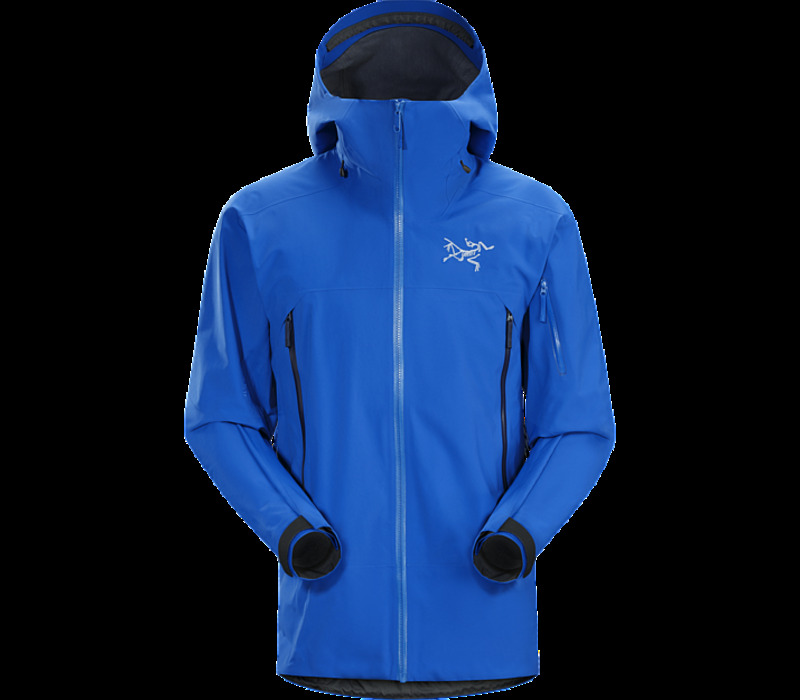 Base layer to hardshell, Arc'teryx designers put focused attention towards creating clothing layers and equipment that can work together to maximize function and performance. Patterning and features align to deliver optimal freedom of motion, breathability and protection. Taking this design commitment to the next level, the Sabre Jacket's Slide n Loc attachments link to the Sabre Pants to create a snowproof system that works as a single unit. Machine wash in warm water (30çC).